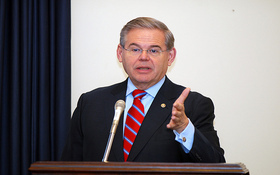 New Jersey is the latest state to take a hard look at the possibility of legalizing and regulating online poker. New Jersey joins the ranks of Florida, Massachusetts, and California as cash-strapped states looking for new ways to increase revenue, among those being legalized online poker. The bill reviewed by the New Jersey Senate calls for the creation of online versions of the already licensed New Jersey casinos, with the state imposing a hefty 20% tax on all gaming revenue. Originally introduced way back in January by Senator Raymond Lesniak, the bill is seen as a way to help the struggling casino and racetrack industries in the Garden State. With the state struggling to balance their budget a vote on the measure is expected by the end of the year. The poker advocacy group Interactive Media Entertainment and Gaming Association (iMEGA) concluded that the bill would create up to $250 million in gross revenue for the casinos and would produce $50 million in taxes each year for New Jersey. Currently there is no provision in the bill that would call for a licensing fee from any participating casino, and it’s also unclear how many online licenses would be awarded. In addition to the increased tax revenue, it is also believed that the bill would create thousands of jobs in the online gaming industry. This entry was posted on Saturday, November 13th, 2010 at 4:51 am and is filed under Poker News. You can follow any responses to this entry through the RSS 2.0 feed. You can leave a response, or trackback from your own site.